The Rangen vineyard enjoys some of the most extreme but also interesting viticulture conditions imaginable: higher altitude, late ripening climate, steep south facing slope, aggressive acidic soil made of poor volcanic sediments and harsh work condition. This vineyard has the formidable capacity to concentrate the grapes late in season, when the heat of summer is finished, it feels like August is still on in September and October. 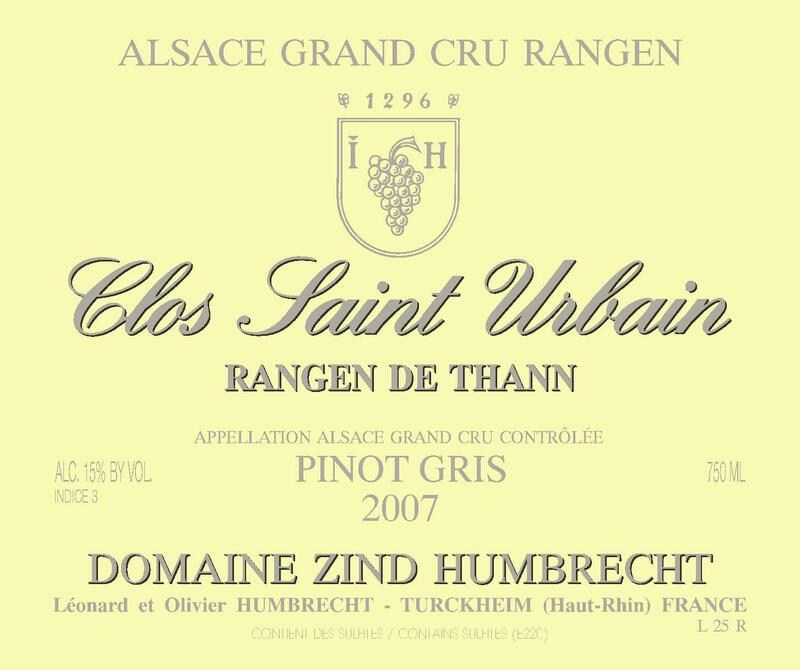 In 2007, there was some interesting noble rot development early October. We could have perhaps left the grapes longer in order to produce some late harvest style, but the weather was so fantastic and the grapes looked so nicely ripe, with dark copper colour that we decided to harvest before the wine went too much in the sweet zone. 2/2009: the nose is showing a harmonious combination of smoke and flint flavours and some white fruit (pears, apricots). It is a gentle and powerful giant, but very civilized and balanced wine. The sweetness shows on the palate, but thanks to a great acidity and fresh structure, it should blend in very quickly and gradually reveal even more the volcanic character.